As soon as I saw the summary for this one, I had to read it. I don't run into very many books that give a glimpse into the life of Foreign Service Officers or the diplomatic intern life, so I had to read it. I'm so glad that I did as it was quite a page turner. Penny is an intern at the U.S. Embassy in Turkey and owing to the happenstance of surviving a horrendous bombing, her life is further turned upside down in a race against the clock. With so many people on so many sides looking for Penny, it's difficult to know who she can trust. That includes the CIA operative along for the ride, Connor. They're both sucked into a maelstrom of overlapping lies from all sides and bullets and bombs being tossed at them too, as if they didn't have enough challenges. There's a lot at stake and the truth is being crafted by official puppeteers on both sides. I quite enjoyed the pace for the most part. I am guilty of wanting Penny to have mentioned some things to aid in Connor helping her to put the puzzle together, that were kind of a big deal to me (& to the solution ultimately) but then this would've been a novella not a novel. The descriptions of Turkey were lovely and I quite enjoyed Penny's personal interactions with the Turkish people along the way. While this story doesn't end completely happily (it can't given the body count), some of the worst offenders do get what's coming to them and there was a measure of satisfaction in that. This was a fairly quick read with chapters that aren't overlong and each ending on a propulsive note. Overall, I'm mostly glad for the focus on those who serve in posts abroad and the important diplomatic work that happens by regular dedicated people. It's not glamorous, the pay isn't great, the hours are long, the stretches of time away from family and home country are long and mostly they go completely unknown & unnoticed by the citizenry they serve. I've been on a really good streak this year with my ARC choices and I'll be looking for the next from August Thomas (who has a very good debut on her hands here). Recommended. I received an Advance Review Copy of this book from the publisher via Netgalley in exchange for my honest review. Summary: Penny Kessler, an intern at the US Embassy in Ankara, Turkey, wakes up in a hospital on the morning of July 5th to find herself at the center of an international crisis. The day before, the Embassy was the target of a devastating terrorist attack that killed hundreds of Penny’s friends and colleagues. Not only has a photograph of Penny as she emerged from the rubble become the event’s defining image, but for reasons she doesn’t understand, her bosses believe she’s a crucial witness. Suddenly, everyone is intensely interested in what Penny knows. But what does she know? And whom can she trust? As she struggles to piece together her memories, she discovers that Zach Robson, the young diplomat she’d been falling for all summer, went missing during the attack. And one of the CIA’s most powerful officials, Christina Ekdahl, wants people to believe Zach was a traitor was a traitor. Penny barely has time to ask before she discovers that her own government wants her dead. 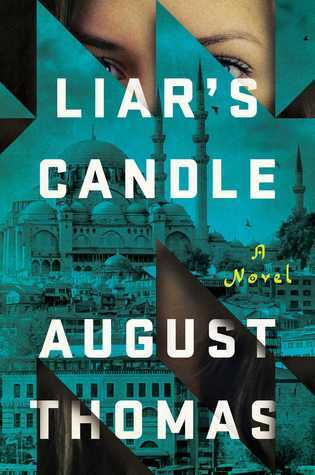 Soon, with only a single ally—a rookie intelligence officer fresh out of the Navy—she is running a perilous gauntlet, ruthlessly pursued by Turkey’s most powerful forces and by the CIA. To survive, Penny must furiously improvise. Tradecraft takes a lifetime to master. She has less than thirty-six hours. And she’s only twenty-one years old. This is her first real test—one she can’t fail.